My IP Journal article | Addressing Europe’s Energy Dependence on Russia: Gas globalization? 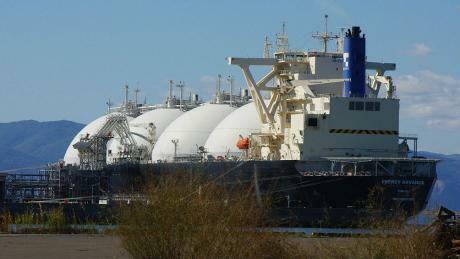 Globalizing gas market, creating OECD strategic reserves could make embargoes history | By Thomas W. O’Donnell 6May14| Post-war Western Europe was twice the target of energy embargoes, each dramatically altering its energy landscape. A lesson for today is that Europe’s present natural gas dependence on Russia can be addressed with a gas policy like that adopted by the OECD for oil in 1973 – one that launched today’s collective, market centered, and embargo-proof global oil security system. Russian President Vladimir Putin wrote a letter made public April 10, 2014, warning several EU heads of state that Ukraine must pay its past due gas bill of $2.2 billion or Russian energy giant, Gazprom, “will completely or partially cease gas deliveries” to the country and be “compelled” to insist on payments one month in advance for any future deliveries – including $5 billion to refill Ukraine’s gas reserves before next winter. CONTINUE READING AT: IP Journal of The German Council on Foreign Relations. This entry was posted in Energy and Geopolitics, Energy and Geostrategy, Euroepen Union, Gas globalization, gas internationalization, Germany, Global Oil Market, Global Oil system, international relations, LNG, Oil supply, OPEC, Putin, Resource conflicts, Russia, Sanctions, Saudi Arabia, shale gas, The USA, Trade and Commerce, Ukraine, unconventional energy and tagged Business and Economy, Energy, energy landscape, Europe, natural gas, OECD, OPEC, Saudi Arabia, Thomas W. O'Donnell, United States, Washington, Western Europe. Bookmark the permalink.